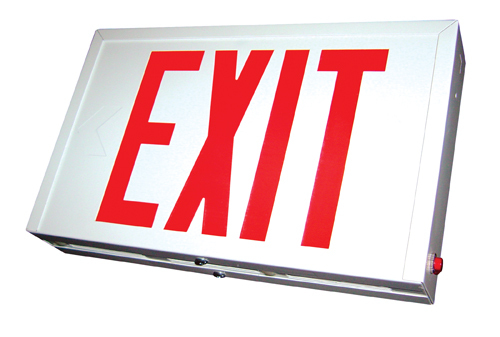 For New York approved letter size and color, our rugged steel New York approved Exit Signs bring you quality and safety at a low price. • Every New York Approved Exit Sign features long-life, energy-saving LED technology. • Unversal knock-out chevrons are included. • This 8.2 pound sign is 8.4 pounds with battery.